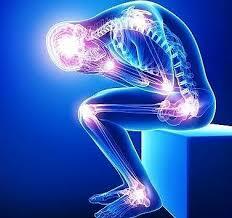 PAIN can be extremely debilitating, and sufferers loose thousands of working days each year. Daily tasks can become a real struggle with bearing pain, be it due to arthritis, muscle tear, sprain, or impairment of limbs due to neuropathy. There are of course many treatments for different types of pain, these may include natural remedies such as exercise or perhaps powerful prescription anti- inflammatory and pain killing drugs. However, there is a treatment which in the medical world has been noted for its pain relieving benefits for years but which is only now becoming popular with sufferers as a method of home pain relief! Its via infra-red heat treatment. What is infra red energy? Generally, this type of thermal heat relieves pain fast because of its ability to travel directly to the source of the pain, it can get through muscle, joints and even bone to give quick, effective relief. By warming muscles and tendons they are encouraged to relax, eliminating tension and in turn relieving pain – tension is one of the major causes of back pain. The body will react to a temperature increase by very quickly increasing the blood flow to the heat affected area. This is the body’s way of keeping the bodies equilibrium. The blood vessels to become dilated and allow the blood to circulate more freely, thus oxygen and nutrients can pass through more easily. This surge in nutrients and oxygen allows damaged cells and tissue to begin to regenerate and heal. In the same way the dilated blood vessels also allow toxins from the damaged tissue and cells to travel back into the blood stream where they can be filtered out and expelled from the body through the usual routes i.e. kidneys and digestive system. Difference between regular heating and heating with infra red radiation! For centuries heat has been used as a method of pain relief and can be extremely effective. We have all used it at some or the other time – a hot water bottle or a wheat filled bag which can be warmed in a microwave oven placed on an area which is painful. The big difference between these heat sources and an infra-red heat pad is the depth of heat penetration. Researchers have now found that thermal radiation is capable of penetrating to a depth of up to 2.4inches below the skins surface. Apart from, what u’ve understood till now, there’s a miracle behind the working of infra red light. Let’s unearth it! When infra red wavelengths are trnsmitted to affcetd and damaged tissues via pads or radiation emitting equipments, it gets absorbed in the tissues due to its power of penetration. Now, the cells (or largely tissues) that absorb it release NITRIC OXIDE! Nitric oxide is is known to play a key role in cardiovascular health. It has been discovered that NO is a potent vasodialator , and thus it helps to improve blood flow through the blood vessels hence enriching the organs with rich supply of oxygenated and nutrient laiden blood. Infra red wavelength, actually causes this to happen and thus the tissues show faster healing and repair. It releives pain, in this manner. Thus flexible infra red pads can be placed over the affected area, or the area can be irradiated with hand held devices, whatever may prove to be more comfortable for you. You can achieve safe treatment for pain, at home. Studies show that infrared light boosts blood flow by 400 percent after just 30 minutes of treatment. With repeat treatments, normal circulation returns, allowing tissues to heal and pain to resolve. Why should I go in for this option? Using infra-red heat as a method of home back pain relief could mean the end of large doses of powerful pain killing drugs which can sometimes have unpleasant side effects. There is also no need to worry about the length of time that the heat is applied, Infra-red heat pads are gentle on the surface of the skin. They usually heat to a temperature in the range of 104oF to 113oF as opposed to other forms of heat treatment which are often at a temperature in excess of 131oF. The best news of all however, is that whilst infra-red heat is a great home back pain relief method it can literally be used anywhere. There are heat pads available which you can use on your office chair or even in the car if you spend a lot of time on the road giving relief wherever you are. Moreover, is a very economical option too! The Less known facts about IR ! 2. It does not detrimental to the skin. The solar IR-A (also called NIR) irradiance level is critical to trigger beneficial effects in the skin beyond which it becomes deleterious. It has been known for almost 50 years that low energy exposure to visible and NIR wavelengths is beneficial to humans via the promotion of healing processes. IR-A appears to be the solution, not the problem. It does more good than bad for the skin. It is essentially a question of intensity and how we can learn from the sun.Infrared constitutes the waveband longer than 760 nm and up to 1 mm. 3. Infra red radiation has quite a good penetrating power: IR radiation can penetrate the epidermis, dermis, and subcutaneous tissue to differing extents depending on the exact wavelength range being studied. 5. Awesome for heling neuropathy/ peripheral neuropathy related problems. science confirms. Light Therapy Equipment has been found to be beneficial for neuropathy in legs, feet, wrists and hands. The LED Lights deliver safe and effective infrared and visible red light that has been clinically shown to improve circulation. 6. With respect to healing pain, it can be used with red light to maximise the benefits. Red light therapy has been shown to positively affect skin cells through regeneration of fibroblasts, keratinocytes and modulation of immune cells (including mast cells, neutrophils and macrophages) all found within skin tissue.A triple-blind study of mice has shown that neuropathic pain due to inflammation was significantly decreased with the use of red light therapy. Being moderate in using this therapy, is the key to SAFETY. It is essentially a question of intensity and we can learn from the sun.The effects of visible & NIR wavelengths are dose-dependent. You should remember that just like one glass of red wine won’t cause harm to you while it will become detrimental if you drink the complete bottle in a day. IR via LLLT (low level light therapy) and exposure to visible IR-A wavelength can be very beneficial given that the right wavelength and power is used. It is this LLLT that most devices offer. It can be used everyday, sometimes twice daily also if there is a pressing need to heal pain. It can be used at stretch for upto 30 minutes, or for less than this if you attain comfort. Stay well hydrated, and be patient for the natural recovery process to take place. This infrared therapy effectively brings pain relief without the use of pain killers and is completely non-invasive. It does this by harnessing the healing properties of infrared light. Infrared light emits wave lengths of energy and it can infuse up to 5cm into the body. The Anodyne treatment technique is simple and painless. Four pads, are placed directly over the injured area and treatment usually lasts no longer than half an hour. One of the great advantages of the pads is that they are fairly flexible and can be placed virtually anywhere on the body. The pad is applied directly onto the skin so that the maximum amount of absorption can take place. Anodyne Therapy has been clinically proven to increase local micro circulation and reduce pain. This therapy is administered via Anodyne Therapy Systems which are mostly used by professionals in clinical settings. They can be used to treat chronic pain! Go in for the best user friendly, INFRA RED devices that may cure your pain AT HOME! Bottomline: It is a very effective product that is high on customer satisfaction. A very user friendly device that is a must have at home.